Double glazing has proven to be a particularly popular form of upgrading existing windows that can offer a host of benefits. In fact, recent years have displayed an exponential growth of the amount of companies that specialize in this industry, and for good reason. Installing these modern types of fitted glass and frames can help homes save on heating costs, provide a stronger safety barrier should the window be damaged and can also help reduce the amount of ambient noise heard on either side. Some recent news articles demonstrate the popularity of this innovative technology. The unique aspect regarding double paned windows and doors is that they are manufactured in such a way as to allow for a vacuum of air to exist between two pieces of glass. As there are no particles to speak of in these gaps, sound and heat cannot be conducted from one side to the other. However, light can travel freely through without any hindrance. These units are factory manufactured and are delivered on-site to homes and businesses. As they can be shaped in the very same ways as traditional structures, the number of applications is nearly limitless. For instance, sash windows, bay windows, sliding windows, storm windows, UPVC windows, bow windows and even stained glass windows can all be made to order. So, let us summarize some of the advantages the customer can expect when purchasing doors and windows that boast double glazing. These devices are excellent insulators of heat and external sounds. Light can pass freely through these windows and doors. There are a wide variety of designs and specifications to choose from. As some reports in the news over the past few years illustrate, the double glazing industry has received a rather dubious reputation in the UK. This is due to the malpractice of some firms in the industry. So, it only makes sense to quickly highlight some of the key steps that should be taken when choosing a double glazed window replacement. First, it is important to ask for at least three different estimates. As the internet has become a highly competitive marketplace, the prices for double glazing can vary significantly. Comparing and contrasting prices are excellent ways to find the best deals. However, your decision should not be solely on the cost of double glazing alone. Ask for a sample of a company's double glazed glass for window and door replacement jobs. Most double glazing companies will normally have numerous examples of their work readily available; either on-hand or at a local showroom. Additionally, see if you can get any customer testimonials. These are usually readily available on their website or you may wish to ask the firm directly for them if this is not the case. In addition, do remember to ask about the warranty packages that the enterprise offers. Most double glazed windows and doors will include at least a five or ten-year maintenance and upkeep package. It should go without saying that the best glaziers will make this obligation clear. Choose which windows and panes are best appropriate for the home. As there are many styles, sizes and tints to choose from, each type can help add a unique flavour to the existing property. For instance, bay windows provide a greater view of the outside environment and can be excellent additions to a Victorian-era household. 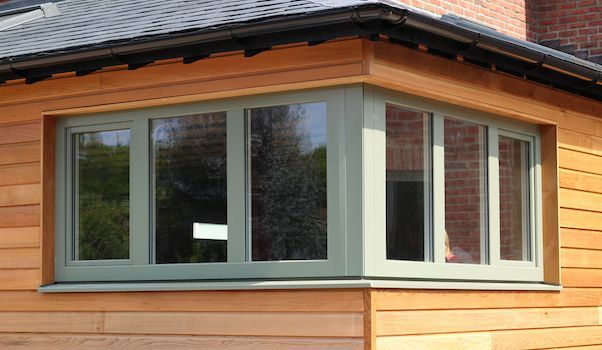 Similarly, double glazed bow windows or sash windows are perfect for an atrium or other area that may be particularly exposed to colder outdoor temperatures or otherwise need to be insulated against loss of heat and exterior noise pollution. Determine the optimum price by comparing at least three different estimates. Ask for any previous samples of work. Determine what warranty package is offered. Choose which windows and frames are best suited for the home or business.